Set your sights on a realm never before seen as the strangest of experiences and boldest of imaginations take reign at Wanderland Magic. 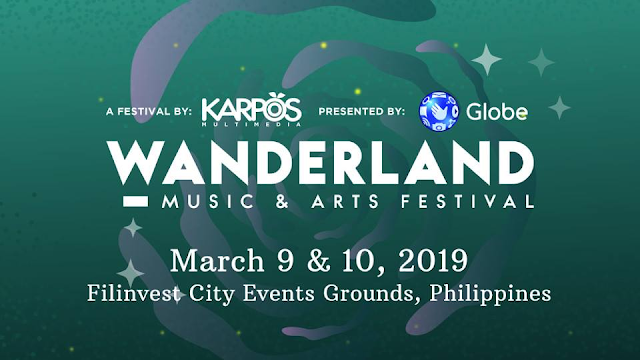 Brace yourselves as we transcend into a dimension where the impossible is reality — now on its seventh year, Wanderland is brewing up its first ever 2-DAY FESTIVAL on March 9 & 10, 2019 at the Filinvest City Event Grounds, Alabang! Wanderland is the annual music and arts festival based in the Philippines will brings you good music and good people. It prides itself in setting the stage where both anticipated international bands and local artists that will perform your kind of music tastes.